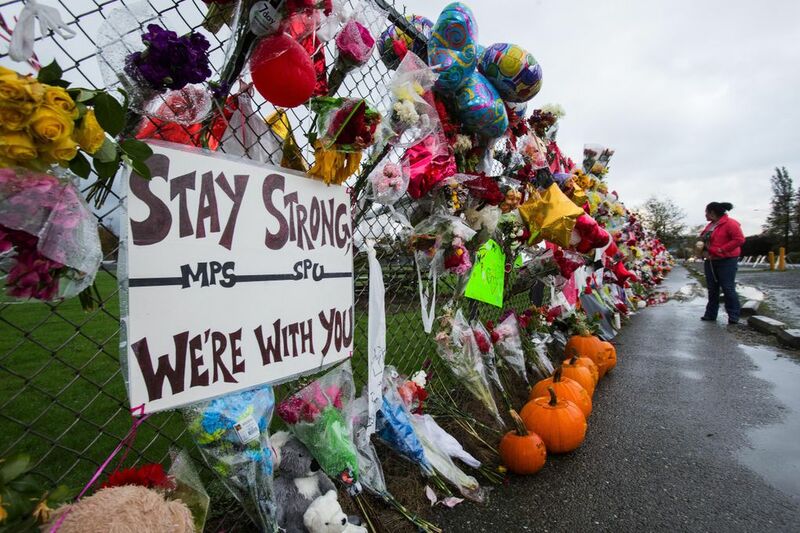 Marysville-Pilchuck seniors graduate this week, the final student witnesses to a shooting in their school’s cafeteria. They went through high school as members of a tragic and ever-growing American institution: school-shooting survivors. Here’s what graduation means to them. 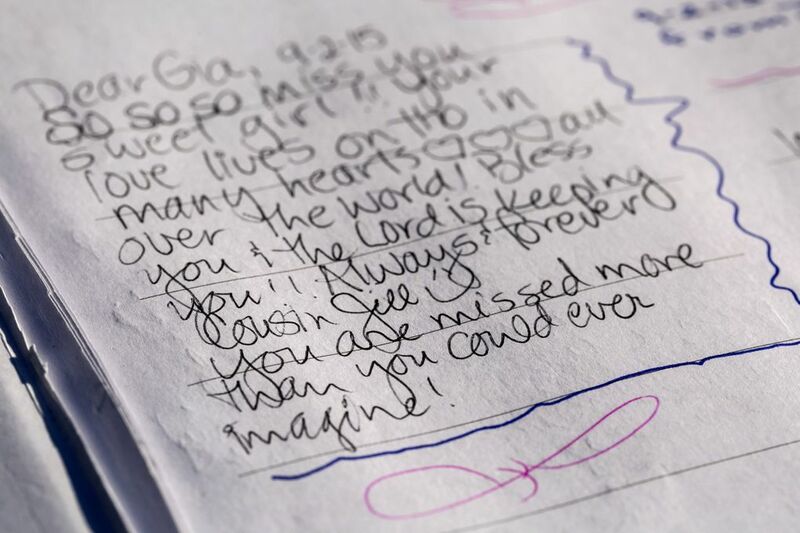 The note has hung on her bedroom wall since her friend was shot and killed at school. Nearly four years ago, Cheyenne Coe ripped it from her middle-school yearbook and pinned it there to remember. 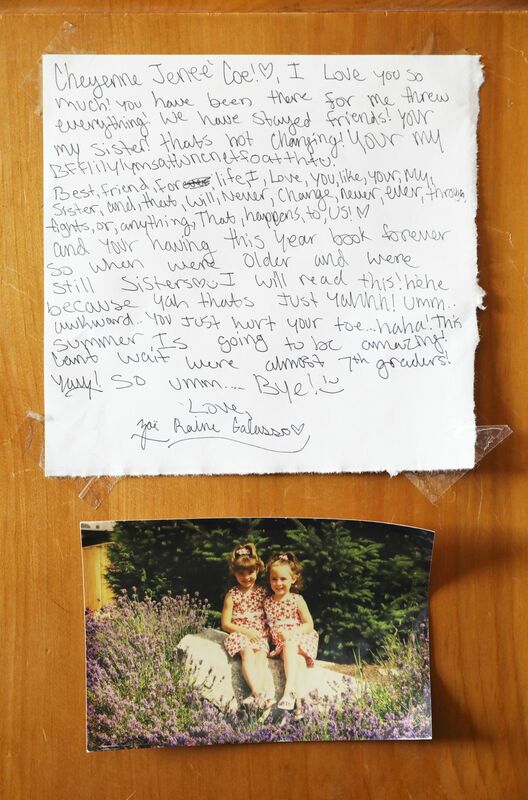 “Best friend for life, I love you, like your my sister,” the then-preteen Zoe Raine Galasso wrote, in part, all those years ago while sitting at her friend’s kitchen table. 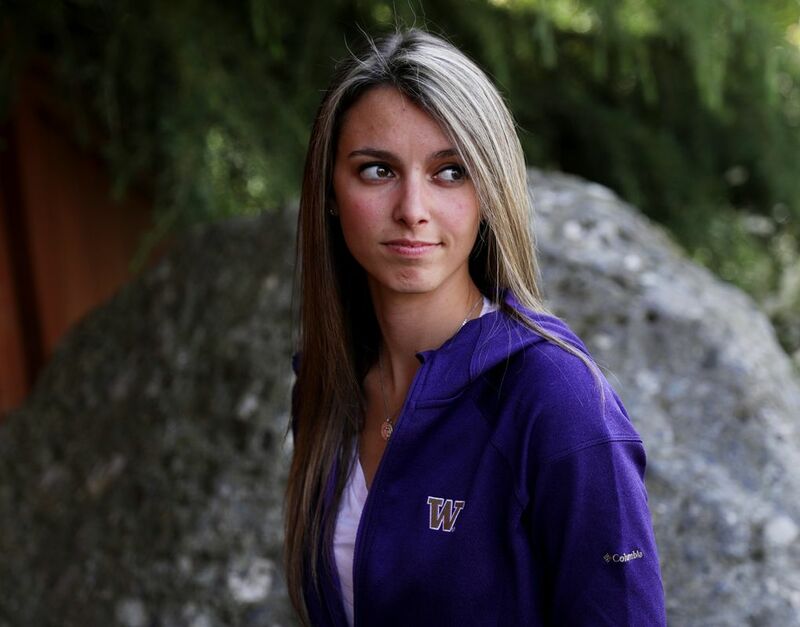 When Coe graduates from Marysville-Pilchuck High School this week, she’ll think of that day. It was a time when she still thought school was safe, when she could eat lunch in a cafeteria without anxiety, when she wasn’t wary of crowds. But the terrible memories of that Friday morning at the beginning of freshman year will be with her, too. The conversation with an acquaintance outside the lunchroom doors. The gunshots. Her peers’ screams, telling her to run. Coe is among the 289 Marysville-Pilchuck High School seniors graduating Wednesday. They are the school’s final student witnesses to the Oct. 24, 2014, shooting at their school, when a freshman pulled a handgun out of his backpack and opened fire. He fatally shot Zoe and three others and wounded another before turning the gun on himself. They were all freshmen. In the space of a few seconds, Coe and her classmates were initiated into that most tragic and ever-growing American institution: school-shooting survivors. Many have found ways to cope, ways to move forward, while still living with the memories from a place they once thought safe. Each new school shooting adds to the emotional strife a survivor carries. Coe and the rest of the senior class know they can’t escape the memory of that day; a diploma doesn’t erase the trauma. But the Marysville-Pilchuck Class of 2018 is preparing to leave the school where it happened. AN EMPTY CHAIR will be placed on stage at the Marysville-Pilchuck graduation, to represent the students who won’t be there to walk with their classmates. The district wanted to honor them — and make sure it gave the senior class the same graduation as any student who had walked the halls of the school. But nothing is quite the same. As the seniors walk in pairs to “Pomp and Circumstance,” best friends Olivya Cerdinio and Cece Watson will reflect on how they’ve grown, how they’re more confident now, confident enough to plan a march for stricter gun laws. Senior-class president Susana Barbosa has written a speech about her class leaving a legacy of strength and resiliency that no student or faculty member will ever forget. Andrew Fryberg was a member of the Tulalip Tribes and lived on the reservation. As the firstborn boy in a family filled with girls, he was protective of his siblings, nieces and nephews. He was a natural athlete and loved spending time on the water. He and his sister would take spontaneous trips to Yakima, just so they could get food from Miner’s Drive-In. Shaylee lived in Marysville and was devoted to her parents, sister and three brothers. She was Colville and Snoqualmie, but the Tulalip Tribes said she and her family were part of the extended Tulalip community. Known affectionately as “Shay Shay,” she loved sports, especially volleyball and basketball. Gia lived in Marysville with her parents and younger brother. She was looking forward to learning how to drive. She loved animals and hoped to be a veterinarian when she grew up. Her family donated her organs when she died; a cousin received her kidney. Zoe lived in Marysville with her parents and older brother. She loved animals, road trips and live music. Friends described her as a bubbly artist who made everyone laugh. She played every sport, but especially loved soccer. She and Andrew Fryberg went to the homecoming dance together. Teachers will breathe a sigh of relief that their students completed all their credits. They’ll think of the bonds forged in their classrooms with kids who ate lunch there every day, because they had nowhere else to eat when the cafeteria was shuttered. Or after the new lunchroom was built, because some still refused to go in. As students walk across the stage to receive their diplomas, guidance counselor Wendy Willie knows she’ll be crying. Her goal was to see the class — that had already lost so much — through their four years. When students throw their red and white caps in the air, Gia Soriano’s aunt and godmother, Jana Demarais, will gaze at them from the stands, knowing that her niece should be there with them. IT WAS A FRIDAY, one week after their first high-school dance and just seven weeks into their high-school careers. That morning, Jaylen Fryberg, the homecoming prince, texted some of his closest friends to join him for lunch. 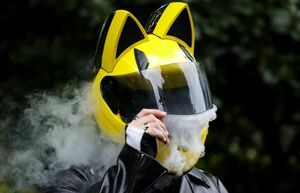 Later, he sent a message to relatives with instructions for his funeral. Coe was walking to first lunch when she saw a classmate she hardly knew and, for reasons she still can’t explain, decided to say hello. They were about 20 feet from the L-shaped cafeteria when she heard the gunshots. Inside, Barbosa thought something had fallen in the kitchen. 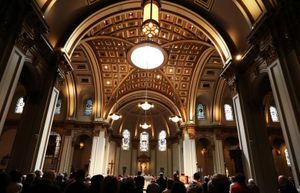 Others thought someone had popped a bag of chips, or lit firecrackers, or dropped a book. She looked to her right and heard three shots, then turned to her left and saw Fryberg shooting his friends. She was close enough to see the flames leaving the barrel. A friend pushed her to the ground. Cerdinio heard the shots from a few tables away and joined about 100 fellow students who fled. The screams carried to the athletic field and Watson’s P.E. class. A teacher ushered them into the gym. Her cellphone was in her locker and she didn’t get it back until a few days later. She had 200 frantic text messages and 60 missed calls. Coe ran across campus, stopping in front of her Spanish teacher’s classroom, where kids were trying to leave because someone had pulled a fire alarm. She told them to get back inside: There was a gun. Barbosa’s friend pulled her to a bathroom before escaping through a nearby door. They ran and dialed 911, but the call didn’t go through because so many others were doing the same thing. Cerdinio kept running. She hopped a fence into a nearby neighborhood, not realizing until later that day she had lost one of her sandals. Zoe died in the cafeteria. Gia Soriano, Shaylee Chuckulnaskit and Andrew Fryberg later died at a hospital. Nate Hatch was shot in the jaw, but survived. The victims and the shooter were all 14 or 15 years old. BARBOSA WAS LOST. She went to pep assemblies and games but wasn’t involved in any activities of her own. She wasn’t sure what she wanted to pursue as a career. She had been interested in criminal justice, but after the shooting felt she wouldn’t be able to handle crime scenes. Willie, the class counselor, told her it was OK to feel not OK. The sentiment helped. 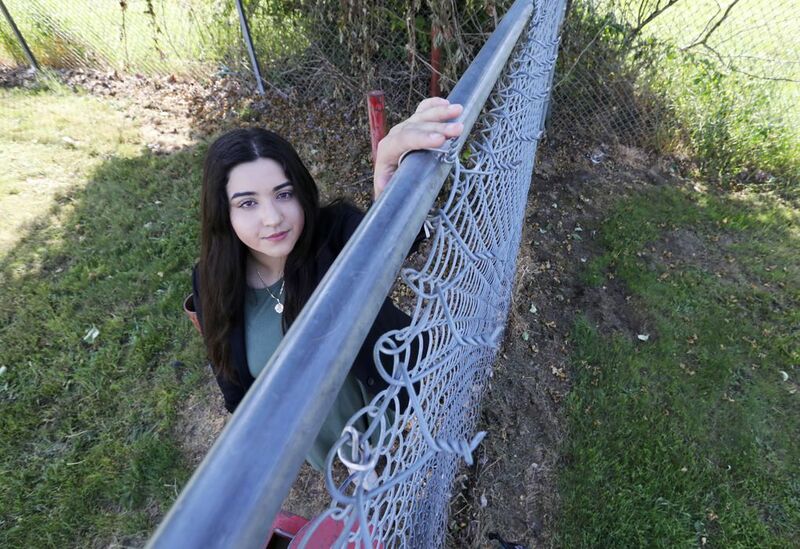 Barbosa’s family and friends told her she could transfer, joining a handful of students — including Hatch — who moved to neighboring schools. But somewhere else her classmates wouldn’t understand what she went through. Marysville-Pilchuck permanently closed its cafeteria and switched the fire alarm’s ring so it wouldn’t sound the same as when students were running for their lives. The drama club changed the tone of their “The Twilight Zone” performance, replacing the gun with a banana. Teachers gave students breaks on grades and attendance, allowing them to leave class for a minute if they needed to go outside and cry. Teachers told their union president, Randy Davis, that they sometimes had a hard time disciplining kids because they were so worried about triggers that might lie underneath. “In hindsight, maybe we should have done this or that, but that’s probably always going to happen. 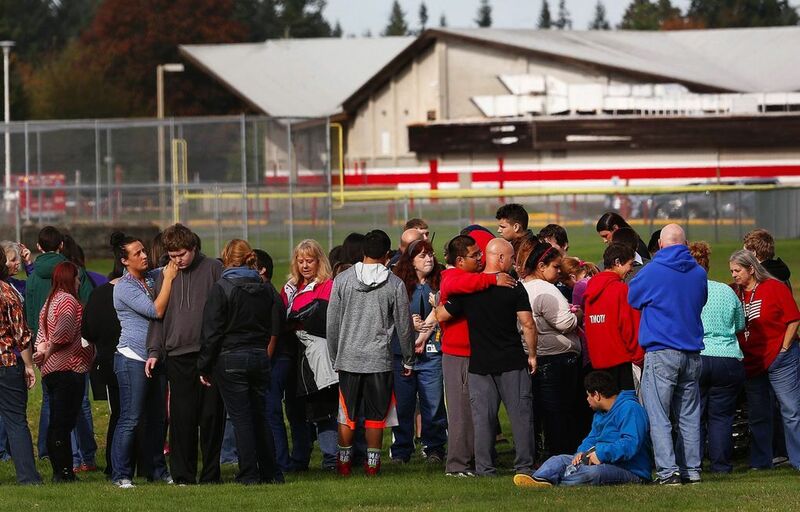 There’s no way you can prepare for something like this,” said Davis, also a former Marysville-Pilchuck teacher. Students reacted in different ways, depending on factors like whether they knew the victims, where they were on the day of the shooting, and even their past experiences with violence and trauma. But they had one commonality. 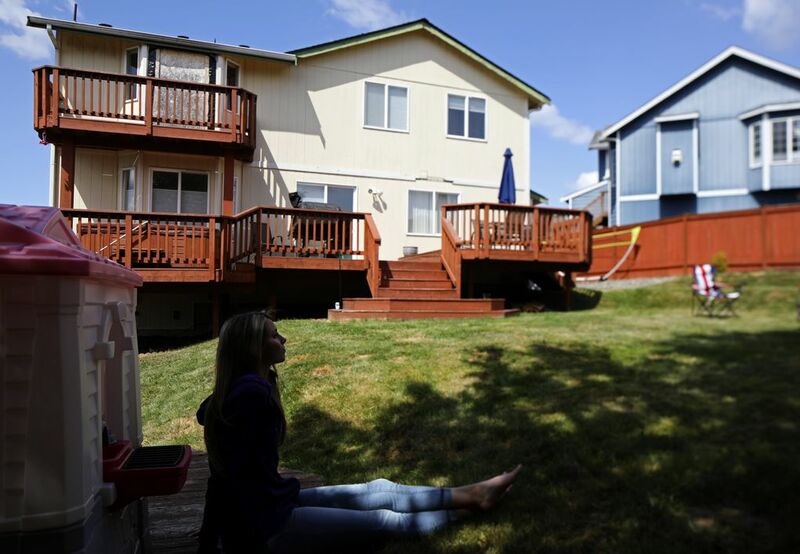 The pain reverberated into the city of Marysville and nearby Tulalip Reservation. A World War II veteran in Marysville said the shooting made him think of battle. In Tulalip, tribal members grappled with knowing that the shooter was one of their own, and that he had shot his cousins, Andrew and Hatch. Shaylee was part of the extended Tulalip community. On the reservation, “we are still processing, and for some of us, it may be a lifetime of processing,” said Deborah Parker, the district’s director of equity, diversity and Indian education and a former Tulalip Tribes vice chairwoman. For a year and a half, Barbosa went to counseling sessions at the school, part of a wide range of services provided for students and community members. She met with Willie each year, first to talk about the trauma of witnessing the shooting and later about college and scholarship applications. Less than two months into their freshman year, many of the survivors didn’t know the victims. But in a school of about 1,200 students, they would have met at some point. The victims were, or could have been, their friends, teammates, dance dates. Cerdinio and her freshmen basketball teammates wrote “Play4Shay” on their arms in marker for games. They knew Shaylee Chuckulnaskit would have tried out and made the team. “It’s heartbreaking because those are my classmates. They weren’t my friends — but they could have been,” Cerdinio, 18, said. The survivors grew up. They got their braces off, learned how to drive and thought about life after graduation. There were football games and dances — Watson was elected prom queen. But the shooting changed their high-school careers, in small and big ways. “I don’t want it to define me, but I don’t know if I would have the same strength and resilience without going through something so tragic,” Watson said. Coe changed the route she takes to get from class to class, to avoid the cafeteria that was replaced but has yet to be demolished. She refuses to even enter the new one and still eats in a classroom. She decided she wants to be a nurse because the nurses were so nice to her and Zoe’s friends and family as they waited at the hospital the night of the shooting. In the fall she will attend University of Washington, Bothell. Barbosa went to a summit at Starbucks headquarters and fell in love with the world of business. A teacher encouraged her to run for senior-class president and she won. She plans to study business and marketing at the UW in the fall. 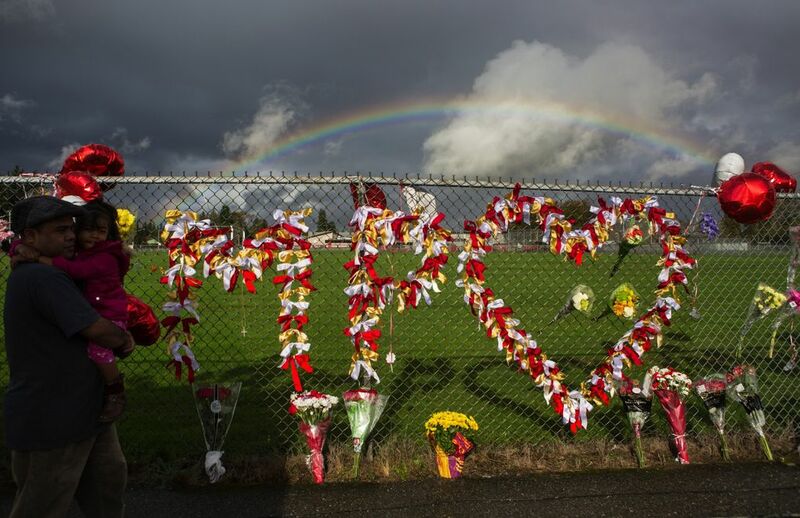 This story is based on interviews with more than a dozen current and former Marysville-Pilchuck students, teachers and staff members, district leaders and victims’ family members. It also draws on law-enforcement documents and interviews from the past 3 1/2 years of coverage since the fatal shooting. 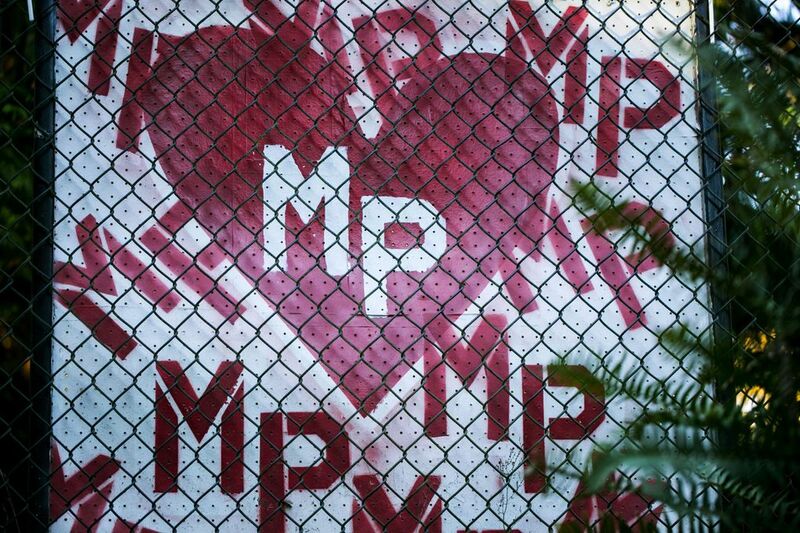 IN MARCH, A GROUP of Marysville-Pilchuck students stood outside their building and watched as 17 staff members and students read off names of the victims killed Feb. 14 at Marjory Stoneman Douglas High School in Parkland, Florida. A Marysville-Pilchuck football coach read the name of Aaron Feis, an assistant football coach who was killed when he threw himself in front of students to shield them from bullets. After the 17 names were read, they released 17 balloons. Across the nation, students were holding walkouts that day to call for stricter gun laws in the wake of the Parkland shooting. 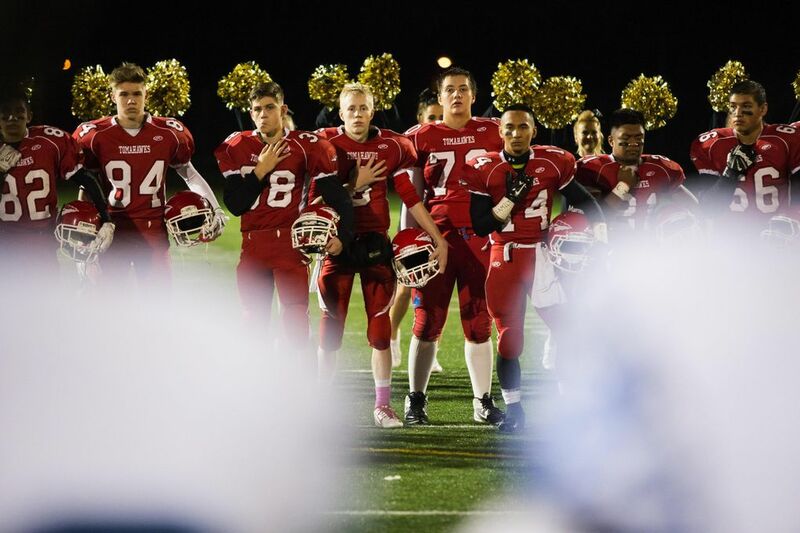 The Marysville students stood in the shape of a heart on the football field and sent a photo of the demonstration to Florida. The organizers presented it as a way to honor the victims because not everyone at their school shares the same sentiment about gun laws. But some, like Watson and Cerdinio, wanted to be a part of the effort. “We realized that, as survivors, we have an authority to make change,” Watson said. The pair helped plan the March For Our Lives gathering in Marysville held later that month. About 20 Tulalip community members, including the mothers of Andrew, Shaylee and Hatch, traveled to Washington, D.C., for the main March For Our Lives rally. They held signs with their children’s photos, their names, and how old they were when they were shot. It was two days before what would have been Shaylee’s 18th birthday. Participants called for stricter gun laws and a better system for comprehensive background checks. Jaylen Fryberg used his father’s .40 caliber Beretta PX4 Storm to kill. Ray Fryberg Jr. bought the handgun at a Cabela’s in Tulalip, even though he was the subject of a tribal domestic-violence protective order that would have made him ineligible to buy a gun. He was convicted of six counts of unlawful possession of firearms and sentenced to two years in prison in 2016. Coe’s family members own guns; she plans to get her own concealed-weapons permit when she’s 21 for safety, she says. But she thinks there should be a better system to ensure that the wrong people don’t get guns. They’re angered but feel compassion for the new students and teachers who are now part of the tragic club. 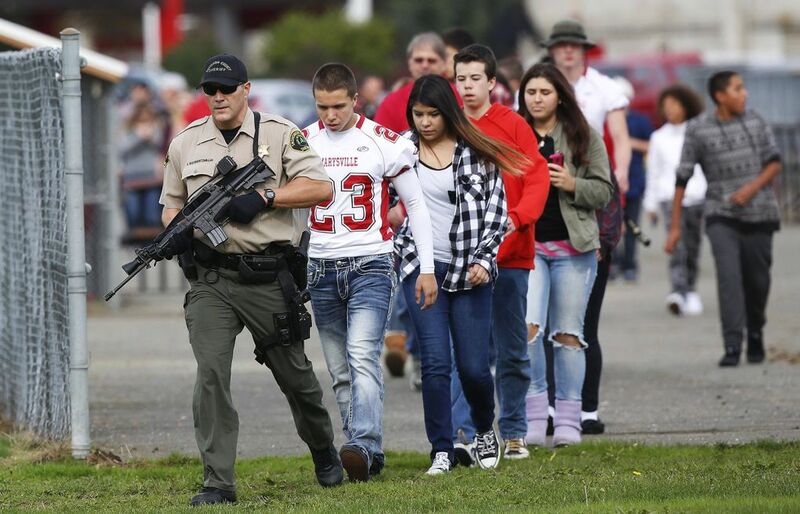 Since the shooting at Marysville-Pilchuck, more than 50 people have died in school shootings in the U.S. The pain resurfaces whenever there’s news of another. Every update rekindles memories. “It’s tiring, because nothing’s being done about it,” said Cerdinio, the same day an Indiana student opened fire at his middle school, injuring two. GIA ALWAYS TALKED about wanting to be a veterinarian. She would have been going to college; her parents had been saving up for her. Her grandmother Elaine Soriano would have thrown a celebration, with aunts and uncles and cousins, and her brother, who was 10 when Gia died but is now a tall teenager. “What a happy time that would have been,” Soriano said in her Everett home, which is filled with photos of her granddaughter. There are pictures of her as a toddler with Shirley Temple curls and one of her kissing her dad’s cheek on the night of the homecoming dance, a week before she died. One corner of the house is “Gia’s corner,” with a window that looks out toward Legion Park, and Gia’s bench. The bench has her name and birth and death dates: Gia Christine Soriano, March 31, 2000 — Oct. 26, 2014. Soriano sets a guest book out on the bench for visitors to sign and brings it in every night so it doesn’t get wet. She has four books now filled with notes and names. Soriano doesn’t plan to attend the graduation. Her daughter, Jana, will be there to support her niece’s friends, even though seeing the empty chair on stage will be hard. “I’ll be thinking that she should be there,” she said. SOMETIMES, WHILE DRIVING her Hyundai Sonata up the street, Coe looks at her yellow house, and the blue house next door where Zoe and her family once lived. She sees the bedroom window Zoe would open and shout from. She sees her own window, where she would shout back. She sees the roof they climbed on one time when Zoe got locked out of her house while her parents weren’t home. She sees the backyard where they buried a time capsule with their childhood drawings and the notes to their future selves, then dug it back up a few weeks later, because they couldn’t wait.